In the UK, one in 10 people now avoid gluten, and they can increasingly choose from a wide array of food products to help them do so. Last year, the “free-from” market, with gluten-free as its anchor, showed a 27% rise in sales. 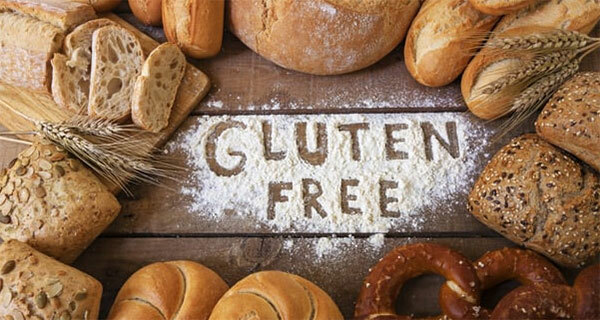 Gluten-free bread, cakes and pasta have become a staple of supermarkets – in recent weeks, Warburtons launched a range of gluten-free wraps, including one made from beetroot, while Stella Artois launched a gluten-free beer, certified by Coeliac UK. In the lucrative cookbook sector, there are gluten-free offerings by everyone from Ella Woodward to Novak Djokovic, with the tennis star crediting the diet with turning his health around. He is not alone in believing a gluten-free diet is healthier: 15% of British households prefer not to put foods with gluten and wheat in their shopping basket, more than half of them on health grounds. Yet, as surely as the popularity of gluten-free eating has grown, scepticism of the “it’s all in the mind” sort has matched it……click here to read more…. Mass neurosis or something about food? Even so, we are still encouraged to file the non-coeliac gluten-free regime in the dustbin of baseless celebrity fad diets, to write it off as a 21st-century exercise in mass neurosis. After all, why should grains that we have been eating, apparently without incident, for as long as 14,000 years suddenly become too hard to stomach? Maybe we need to rephrase that question: what is it about the grain-based staples most of us are eating that could be causing population-wide digestive difficulties? Or, as the Real Bread Campaign co-founder, Andrew Whitley, says: “We should be asking why the food system has done this to us, asking how it dares to sell us crap that’s made us like this”. In the UK, the oldest modern bread wheat cultivar we grow is Maris Widgeon, which dates back to 1964; the rest were developed in the late 20th and early 21st centuries for higher yield and higher gluten. These cultivars are not what our ancestors ate. What other unintended mutations might this breeding have caused in these varieties, and what effects might they have on the people who eat them? Our great-grandparents’ grain was not sprayed with pesticides, either. These days, it is common practice among non-organic farmers to spray their wheat on days before harvest with the controversial pesticide glyphosate, to dry off the crop for processing. The International Agency for Research on Cancer classifies it as a probable human carcinogen. Debate rages about the long-term safety of these pesticides and possible effects on human health, especially when deployed so close to harvesting. In the factory, heavily automated bakery conglomerates have stripped out most of the time, human effort and craftsmanship from the bread-making process, replacing traditional methods with a chemistry set of additives and undisclosed processing aids, notably enzymes synthesised in the laboratory. These enzymes, and the 27 potential allergens that scientists have identified in wheat, are now firmly in the frame for causing “baker’s lung”, an occupational hazard of bakery factory workers. Could they also be affecting the health of their customers in a less dramatic manner? Although all the additives used to make modern bread and processed food products are “generally recognised as safe”, in the circumspect language of the US FDA, some researchers have associated a number of food additives with some of the gut alterations seen in both coeliac and non-coeliac gluten sensitivity, as well as in inflammatory bowel disease. For instance, one study found that emulsifiers, a common category of food additive found in industrial breads and baked goods, may promote intestinal inflammation by disrupting the barrier between the immune system and the microbiome – the collection of microbes that inhabit our bodies. The cumulative cocktail effect of modern combinations of additives we eat could also be cause for concern, as the safety of each is only tested in isolation and any possible cocktail effect has not been systematically studied. For the past 20-30 years, industrial bakeries have also been adding extra gluten to their products, known as “vital gluten” in the trade, but often labelled innocuously as “wheat protein”.Consumers are eating more gluten now than ever before. And, in a belt-and-braces strategy to make their goods look as big and as good-value as possible, they have also bumped up the amount of yeast (another known food allergen) in their formulations. Today’s industrial baked goods sound even less like a recipe for digestive comfort when you consider that the most crucial step in traditional bread making – long, slow fermentation – has been stripped largely out of the industrial manufacturing process, making it possible to create finished loaves in two hours, as opposed to the traditional time frame of 16 hours or more. Some experts argue that without this traditional fermentation – the process by which parts of the grain begin to be broken down in the presence of lactic acid bacteria – many people simply can’t digest grains properly to absorb the desirable micronutrients they contain. “We hear time and again from people who have found they can eat one type of loaf but not another,” says Chris Young of the Real Bread Campaign. “Some people report their trouble is triggered by contemporary strains of modern wheat, while real bread made with heritage varieties are fine. Or perhaps they are limited to eating ancient types of wheat like einkorn, emmer or spelt. So, while gluten need not be a digestive disruptor, per se, it could perhaps become so when encountered in its inadequately fermented forms, particularly when it is mixed with pesticide residues, food additives and processing aids that could be troublemakers in their own right. Other possible triggers for gastric difficulties could be Fodmaps, or Fermentable, Oligo-, Di- and Mono-saccharides and Polyols. 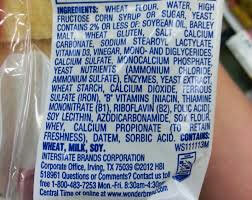 These sugars are by no means exclusive to gluten-containing foods, but they are naturally rich in them. The thinking here is that it is not necessarily gluten, but badly absorbed Fodmaps that generate symptoms similar to those observed in gluten sensitivity. A Fodmaps diet involves cutting out high Fodmap foods for six to eight weeks before reintroducing them one-by-one, over time, to pin down the culprit(s). The verdict? “Very difficult to do. I don’t know anyone who has stuck to it,” was the anecdotal response I got from one person who tried this. And what about fibre, which is enshrined in government healthy eating guidelines? We are exhorted to eat products made from whole grains, such as those with lots of wheat bran, rather than white refined ones, but, without thorough fermentation to break down whole grains into a digestible form, might the insoluble fibre in such products inflame our guts? A recent scientific review of the effects of dietary fibre on those who suffer from irritable bowel syndrome noted that: “A general recommendation to increase fibre intake in this group of patients would be inappropriate since it could worsen the symptoms.” Yet most of us still assume, because we have been told over and over again, that “brown is best”…..